The whole team at the ibis Marseille Bonneveine Calanques Plages welcomes you to the beautiful Phocean city. Take advantage of our location to visit the Calanques, the Museum of Contemporary Art and enjoy the beach and water sports activities. Located in a calm, leafy area, the hotel offers 88 rooms: Standard or Sea-view Double, Twin, Triple, Connecting Family Rooms and rooms for people with reduced mobility. Enjoy our restaurant on the terrace, by the pool or in an air-conditioned room. Our ba r and snack service are open 24 hours a day. We offer a secure car park (underground or outside, charges apply) and free WIFI. For your meetings: seminar room with natural light. The swimming pool will be open from April 28 through October 1, 2018. Opposite Bonneveine shopping center, close to COMEX, GAN, RTE; 0.6 mi from Marseilles beaches, Parc Borély, its golf course and racecourse, 0.9 mi from the Pointe Rouge (diving center) and Parc Pastré, 1.9 mi from the Stade Velodrome and Parc Chanot. Enjoy a hike in the Calanques of Sormiou, Morgiou and Les Goudes. The hotel is close to the Prado, Cassis and Luminy (university and businesses); 3.7 mi (6 km) from the Old Port, the MuCEM, La Joliette (cruise port) and Saint Charles train station. Enjoy our lovely poolside terrace. Treat yourself to our set menus or delicious burgers starting from EUR 14. ibis Kitchen is open to everyone from midday to 2pm and from 7pm to 10:30pm. Bon appetit! Relax in the ibis bar where people come at all times of the day for a bit of me-time. Enjoy our snacks, available 24 hours a day. It was just a short night in Marseille, arriving late, leaving soon. The global feeling of this hotel (compared to other IBIS), is that it seems a bit old. No offence, but it is the first feeling. But the stay was good. Staff were very helpful. Hotel was clean. The staff. Friendly and welcoming. I have stayed twice at this hotel. Always friendly and accommodating. I will return again. The staff and services made my stay enjoyable and comfortable. If you go to Marseille for the fjords (calanques) or the beach this is a good location. The rooms are fine, the general service too. Breakfast is excellent including the service. I would return here if I am in the region. 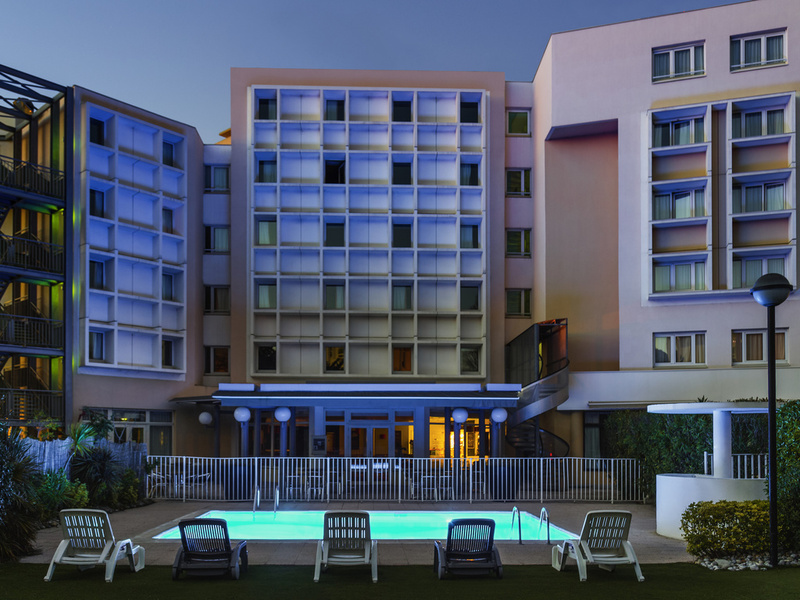 I love this hotel with the swimming pool and the location in Marseilles. The rooms are comfortable and the breakfast is good. I would stay here again as with all Ibis hotels the standard is high. Great rooms, service and price!! The staff are friendly, always greet you with a smile and are very helpful with any questions you may have. We normally stay at Airbnb until in Marseille in June 2017. We booked as usual through AIRBNB, and it was a disgusting rental, uncleaned unit and the unit needed work. I told my wife there was no way we could stay there that night. We went into town and stumbled upon Ibis. We explained to the receptionist what had transpired and she was helpful enough to even offer us a discount on the original rate she quote. Since that night we had only booked Ibis. That been said, we do have an overall good experience with Airbnb and this was the only time that a unfit was unfit for use by humans.Some things Airbnb are key exchange between owner and client. Where as Ibis is hotel chain so it goes without saying that the customer service is better with Ibis.We are budget conscious and Ibis most definitely fits our budget. One last note, during this recent trip in Europe on our last night staying at an Ibis in Portugal close to Lisbon airport. We did run into a snag with Ibis, seems to be their air conditioning system for the rooms were overwhelmed possibly due to the heat wave of 41 degrees. The manager did make and effort to show us a few more rooms to see if they were any cooler but it was all the same. We stayed in our original room and he apologized several times which was nice and also brought us a fan. We had not asked for some form of compensation (complimentary breakfast, dinner or discount) but it would have been nice if they would have offered it. Over all, I would stay and recommend them to our friends and family for sure. Always greeted with a smile from all staff, a warm and welcoming place. The room was compact but very comfortable, great internet throughout the hotel. The only addition I would ask is a minibar fridge.